Due to limited space at the Maine State Archives, please let us know if you can attend the 11AM training. Everyone is welcome! Please let us know you'll be coming to the reception at 2PM! 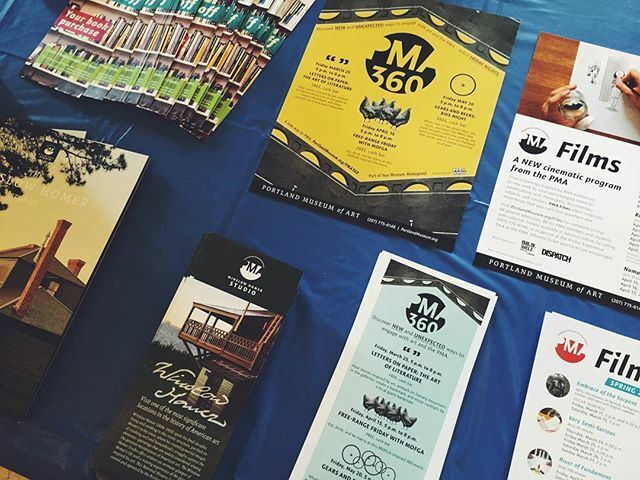 There are twenty-eight spots available for MAM and NEMA Members to exhibit their organizations. Due to limited space in the Hall of Flags, each exhibitor will share a six-foot table with another organization. MAM members must sign in. NEMA members can contact Dugan at info@mainemuseums.org or 207-400-6965. -Name listing and link to your website from mass email communications. Learn about advocacy, meet your legislators, and help us celebrate and advocate for all museums! The event will begin with a training on best practices in advocating for your collecting institution. Attendees will have time to meet with their legislators before reconvening for a reception in the Hall of Flags. 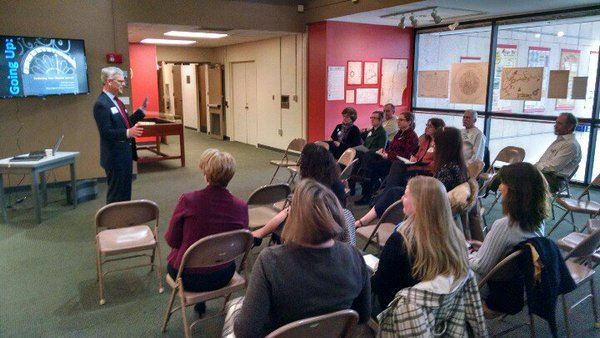 11AM-12PM Maine State Archives Advocacy Training - discuss current issues and practice your advocacy story with representatives from the New England Museum Association. Register here (no cost) if you'd like to attend. 12PM-2PM Maine State House Meet Your Legislators - Make appointments to meet with your legislators to discuss the issues relevant to your organization. 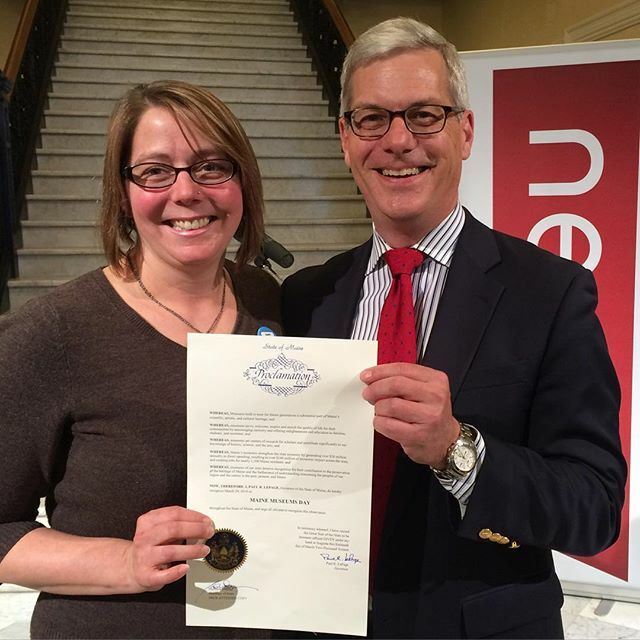 2PM-4PM Hall of Flags, Maine State House Reception - Exhibit your organization (register here at no cost to members of MAM and NEMA to reserve table space) and/or meet with folks from other collecting institutions while enjoying refreshments and inspiring speakers. This event is free, including the 11AM training and first-come-first-serve exhibitor table space. You must be a MAM member or NEMA member to exhibit. NEMA members, please email info@mainemuseums.org or call Dugan at 207-400-6965 to register for exhibitor table space. We encourage collecting institutions, their volunteers and staff, students, and supporters across the state to attend. 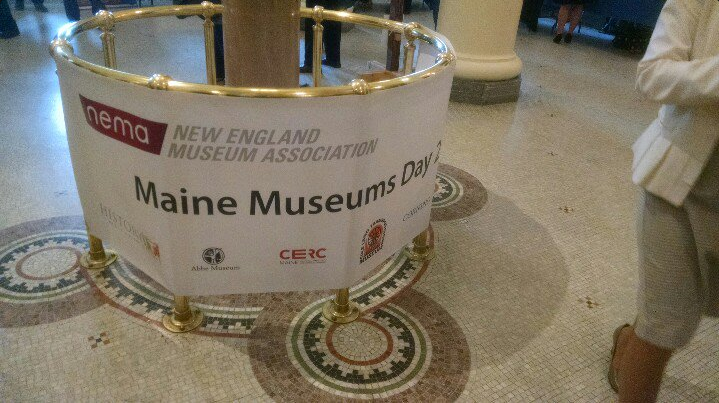 Please use these materials to communicate about Maine Museums Day and about the impact of collecting institutions. Photos and stories from Maine Museums Day 2016. Maine archives, historical societies, and museums are valuable economic engines in their communities, contributing millions of dollars to Maine’s economy, and enticing visitors to stay longer, spend more, and return in the future. However, their value is more than dollars and cents, these collecting organizations create the unique feel of our communities, while preserving and sharing our most cherished history, art, and culture. These Maine institutions, found in communities - large and small, rural and urban - provide opportunities for our citizens to understand where we have been and who we are as a society; they offer places where we can contemplate beauty and meaning in our lives, provide a sanctuary where we can refresh our spirits and reflect on our lives. Archives, museums and historical societies can educate and inspire all ages, from the senior living in retirement, to the child just beginning school and learning about both our individual and common heritage. Investment in the arts and humanities is essential to our well-being as Americans, and to the generations who will follow us. As valued partners in our communities and the state, our collecting institutions need protection. At risk are vital funds through state and national granting organizations, and support for important projects like the Maine bicentennial in 2020. 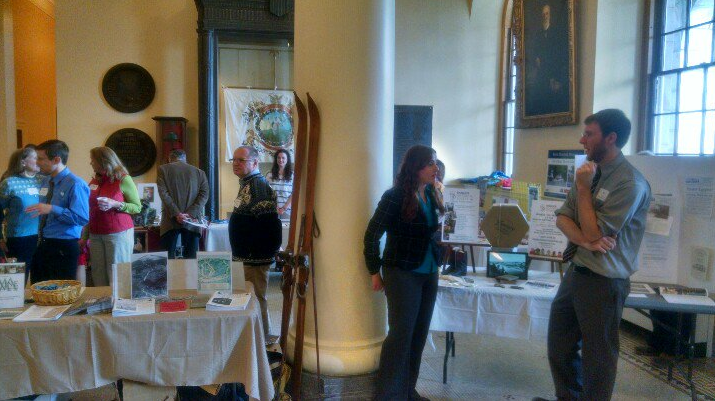 Join us as we listen, learn, and celebrate all these attributes at the 2nd annual Maine Museums Day at the State House.